Rozel recommends that electrical workers wear class 0 (1,000-volt max use) rubber insulating gloves when working within the restricted approach boundary of exposed energized electrical conductors or circuit parts operating at a nominal voltage of 480 volts. 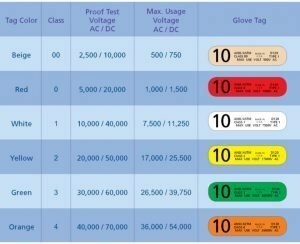 This often leads to confusion because class 00 rubber insulating gloves have a max use rating of 500 volts which is obviously greater than 480 volts leading one to think that they are safe wearing class 00 gloves at this level. 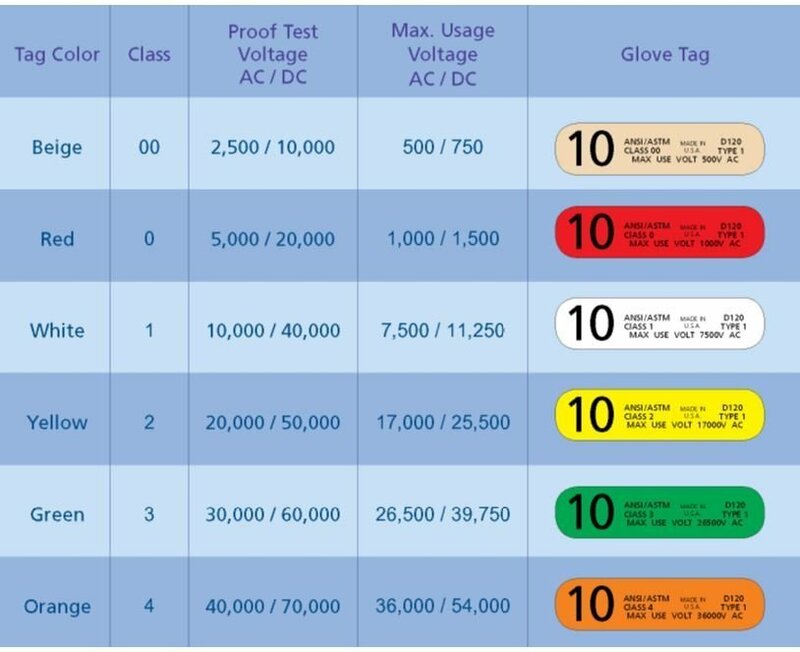 According to the National Electric Code’s definition, nominal voltage is a nominal value assigned to a circuit or system for the purpose of conveniently designating its voltage class (e.g., 120/240 volts, 480Y/277 volts, 600 volts). Keep in mind that the actual voltage may be higher or lower than the nominal value. ANSI C84.1-2016 Establishes nominal voltage ratings and operating tolerances for 60Hz electric power systems above 100V. According to the standard, utilization equipment shall be designed and rated to give fully satisfactory performance throughout a range. The upper level of the range for utilization equipment with a 480-volt nominal rating would be 504 volts (range A) and could go as high as 508 (range B) ANSI recommends that the if the volts reaches the range B level it should be limited in frequency and corrected within a reasonable amount of time to ensure safe operation of the equipment. Notice, in either case, electrical utilization equipment is designed to operate above the 500-volt max use rating of class 00 rubber insulating gloves. The 480-volt equipment in your facility may not reach or exceed 500 volts but we always err on the side of caution and recommend to our clients to use class 0 rubber insulating gloves to ensure worker safety when working on or near this equipment. We also suggest only having class 0 gloves if you or your employees are working on or near equipment energized at 480V or lower. Keeping class 00 gloves around for working on lower voltages can lead to injuries due to accidentally grabbing the wrong pair. Sections 210.19(A) Informational Note 4 and 215.2(A)(1) Informational Note 2 discuss allowances for voltage drops.